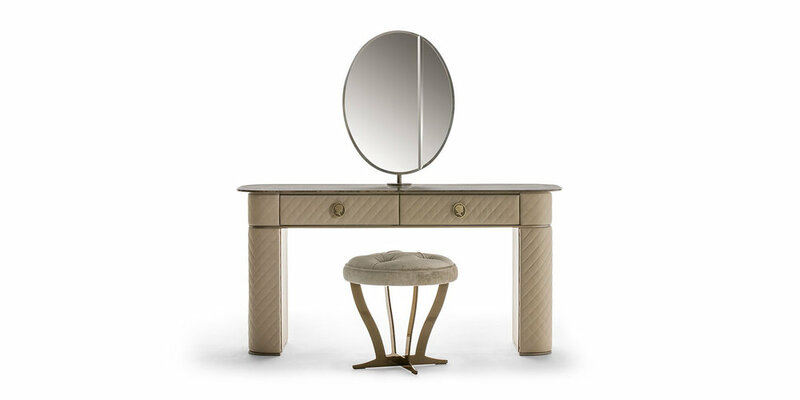 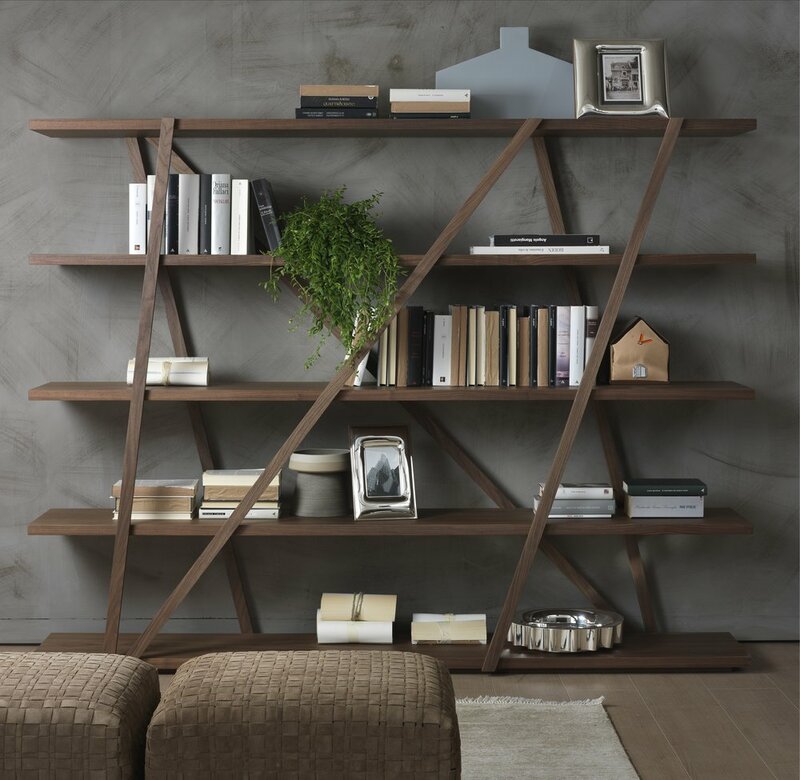 The high tailoring details distinguish the series of Penelope units. 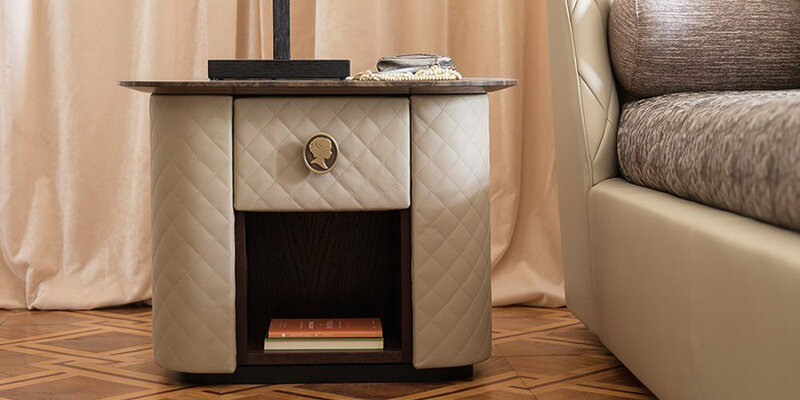 Drawer units and cupboards made with high fashion details, matching the best leather to the noble finishes and bright metal. 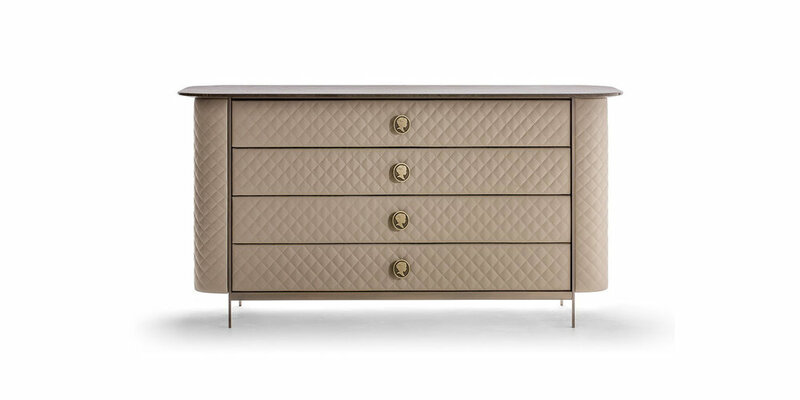 Structure, doors and drawers are covered with diamond quilted leather, to give the entire range the elegant style typical of haut couture Italian leather work.